The mechanics of partition are dealt with too briefly; I wish the author had provided some more information about this process. It is not the main topic of the book, but Air Marshal Subramaniam has read widely and it would have been interesting if he had stopped to tell us more about this process and how it unfolded; perhaps in a new edition? That said, the role of the INA and the Indian Naval rebellions in shaking British confidence in their Indian armed forces is dealt with in some details and is one of the many plus points of this book. Incidentally this is the book where I learned that Field Marshal Auchinlek’s name is pronounced “Aufleck” and is in fact the same name as in the name of the actor Ben Affleck. One lives and learns. The 1965 war with Pakistan is covered reasonably well, but again it is the air war where he is at his best. The military operations are described more or less accurately, but not in any great detail by military history standards. And two of the most embarrassing episodes (from an Indian point of view), i.e. General Niranjan Prasad’s breakdown when counter-attacked in Lahore by the PAF and General JN Choudhry’s suggestion (or verbal order, depending on whom you believe) that India should withdraw to the Beas river in the face of Pakistan’s armored offensive in Khem Karan sector, are not mentioned at all, though both are attested in General Harbaksh Singh’s own book about the war. Again, the book would have gained from some more data (numbers of troops, guns, tanks, casualties etc) but is otherwise reasonably good. You can read more about the military history aspects in Major Amin’s summary of the war in this article. The easiest war to write about (from an Indian POV) is obviously the 1971 war and Subramaniam does a good job of describing the preparations as well as the conduct of operations in that war. He gives due credit to General Sagat Singh, whose unusual aggressiveness and initiative played a large role in the rapid Pakistani capitulation in the East. He gives due space to the IAF and the Indian navy and as with the account of the 1965 war, is able to describe the forces and commanders on the Pakistani side as well. He describes the “offensive-defensive” Indian strategy on the Western front and the fact that the disparity in forces was not as great on the Western front, but still hints that India could have done more and blames Indira Gandhi’s “magnanimity” for the fact that she did not coerce Pakistan into settling the Kashmir issue after 1971. This may be how it looks in hindsight, but the fact is that India did not have decisive superiority in the West and it is by no means clear how much more it could have achieved in the West even if Indira Gandhi had not been “magnanimous”. This is not the only place where he portrays the Indian leadership as being too timid and “idealistic” and in fact he then devotes an entire chapter to Kautilya and the lessons of realpolitik. 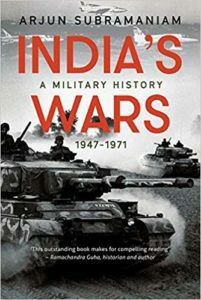 One gets the feeling that these sections of the book may have more to do with contemporary Indian culture wars (Hindutva vs XYZ) and less with a strictly objective analysis of Indian military history from 1947 to 1971. While never as aggressive (or remotely as capable) as, say, the Japanese or the Germans in WWII, it is by no means the case that India was some sort of pacifist nation that ignored the importance of coercive force in international relations. From Kashmir, to Hyderabad, to Goa, to the “forward policy” to attacking across the international border in 1965, India was not as gun-shy as the author sometimes hints. Overall, this book is a good introduction to the subject. It is generally quite detailed when it comes to the IAF, but sometimes a bit less so when it comes to army operations. More tables and facts and figures would have been useful, but may have been omitted because this is a popular history, not a traditional military history. The author has a definite political and ideological agenda (very pro-Indian as expected, but also keen to teach what he regards as “the lessons of hard-nosed realpolitik”) but the details are accurate; he picks and chooses his opinions, but does not do a bad job with the facts. Well worth a read. I often hear this line that “India didn’t settle the Kashmir issue in 71”, I am not even sure what it means. If Bhutto signed a paper saying that Kashmir belongs to India, would that have settled the issue? What is the value of any agreement when government gets overthrown and Bhutto is hanged? Of course Pakistan can’t force the people of PoK to join India against their will. Only plausible solution is making the LoC permanent border, which is what they tried in 71 which didn’t work out anyway. india should have made safeguard for hindu population of bangladesh in 1971. IG did not ‘try ‘ making a permanent border or any other outcome in the western border. That’s is a weakness of Indian policy, they don’t know what they want. She got vague promises from ZAB that all border issues will be settled bilateral lunch. What settling means is making the LOC the permanent border in lieu of POWs . There was no land swaps involved so i am not sure how unachievable really was it. And irrespective of all the hue and cry made for civilian leadership in Pakistan, when it comes to India they are not that different. Hadn’t Bhutto been hanged he would have done exactly the same stuff which the military does, only in a more sophisticated way. We feel that by design civilians are cautious while military is aggressive, the role of Bhutto and Ayub in 65 showed the roles can be reversed as well. 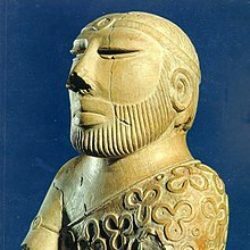 What do you make of the subcontinent hagiographical approach to almost every thing from wars to communities, nationalism etc (My army best, my language oldest, my music sweetest etc). 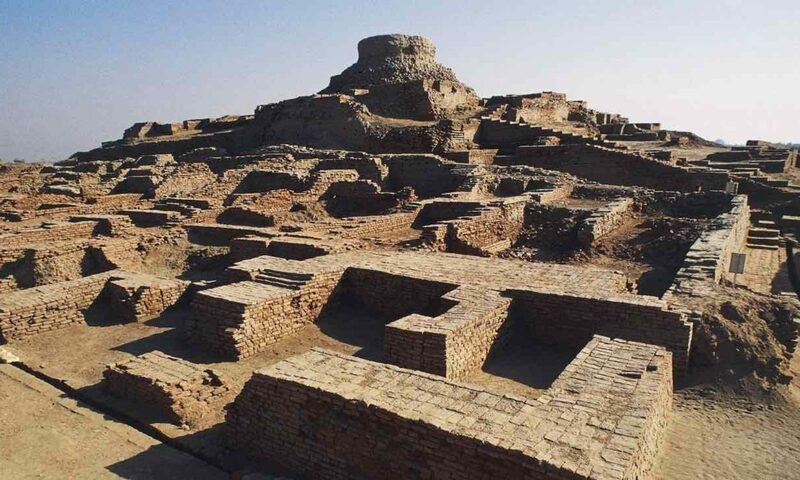 It sad that we have a dearth of incisive war historians of S-Asian origin. You are correct , but i am not surprised . Out of all the communities in the South the brahmin is most swayed by hindutva/ hindu nationalism talk. Because he has no other group to turn to. On the Sikhs and marathas being the only force worth mentioning its easy since sub consciously we dont really consider the “other” forces as Indian anyway. I used to think that all this Kautilya talks are mostly on watsapps and twitter , while our military really focuses on some real on ground strategy rather than some ideas of 1000s of year old. But looks like i was mistaken, that this whole “Kautilya the master strategist” meme has inflirted army men as well. While I am not qualified to comment on the military nature of the war with China, it should be clearly noted that the war was more a response to Nehru’s ceding of much of government control in 1962 owing to health and other issues (http://eprints.nottingham.ac.uk/2308/1/McGrarrIndia.pdf), and running the foreign policy-defence as a two person fiefdom involving himslef and Krishna Menon. This opened a gambit for Krishna Menon to seize control of foreign and defense matters. Egged on by USSR, and his unfortunate dependence on Luminal, he ran the forces from Goa to Tibet in 1962 without a great deal of parliamentary control. The army was neither ready nor willing to get involved in such a commitment. Details of Krishna Menon’s mishandling can be read in Chapters 32-34 of Mathai’s reminiscences of Nehru age, and J.K.Galbraith’s related chapters on India and US at the same time. Personalization and narrow casting of departments lead to such behavior; something similar to this is happening in US with both, Rex Tillerson attempting run it as a fiefdom but was completely ignored by other members of the foreign policy Troika. Luckily no major crises broke out. Unfortunately, in India, a major crisis did break out but was run poorly by Menon. While military aspects are not well described in Indian literature, the financial and administrative aspects are well described. Re; the political perspectives, it may be worth starting with the works of Neville Maxwell, and the insights of Chou en lai, who, in general found JN and KM to be men for whom action was anathema and talking was the end game. You may not agree with those ideas, but they are some perspectives.